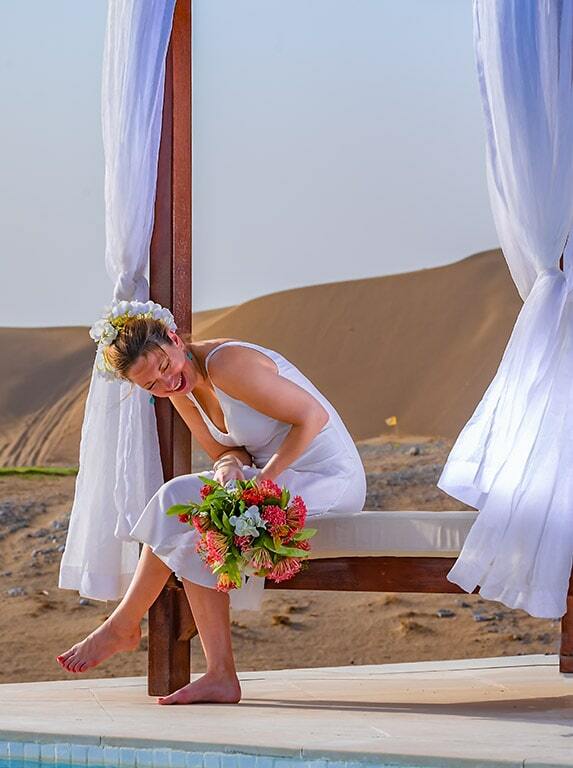 Celebrate your love in the lap of warm desert, and get your commitment stowed in the breezes of sand dunes forever. Dunes By Al Nahda lets you create a wedding that combines the tranquillity of sand dunes and an abundance of opulence in every corner. Every wedding is a grand celebration at our high-end wedding setup. You can plan a nuptial event of different cultures, including Indian, Western, and Omani, with down to the last detail and perfection at our resort. Our banquet halls define luxury in the finest way along with our superlative catering services. We create a special menu for different culture of wedding, depending on the specific choice of our guests. Not only the wedding, but you can also have a wonderful wedding photoshoot in the mesmerizing views of desert that you can cherish for life long.